They may be called French fries, but these tasty fried potatoes have won the hearts of Americans. Florida knows how to do French fries right, and there are plenty of places serving amazing variations on this side dish to prove it. 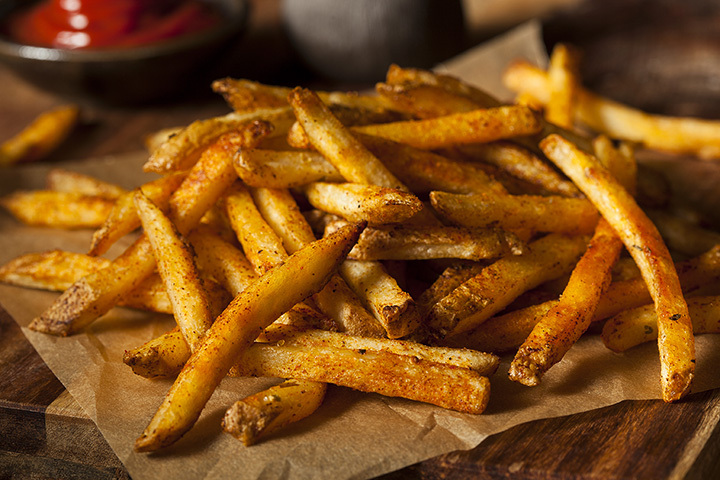 Whether you like them fat or skinny, seasoned or plain, skin on or skin off, prepare to indulge at the 10 best places for French fries in Florida. They aren’t just blowing smoke with a straightforward name—they really mean it! Their fans agree this food truck speaks the truth, touting them as the best French fries they’ve ever had. Their biggest differentiation is their line of 20 gourmet dipping sauces to complete your experience—you’ll want to try them all! Can a German pub create some of the best French fries on the planet? Yes, they can! Their truffle fries are worth the carbs. Beer battered and seasoned in black truffle oil, parmesan, and salt, you’ll never want to settle for a boring French fry ever again. Tucked away in the Disney Springs, you don’t need a pass or ticket to enjoy a delicious side of fries at the Daily Poutine. This classic Canadian dish uses thick-cut fries, then douses them in toppings like cheese curds and gravy (or get them plain, whatever suits your taste). There’s nothing that compares. It’s only natural that some of the best French fries come from one of Florida’s top French bistros. Pistache’s upscale ambiance sets the mood for an exquisite French fry experience. A heaping helping of pommes frites wrapped in a paper cone and served piping hot with an array of dipping sauces makes a trip here worthwhile. This homey little family restaurant has perfected the homemade French fry. Fresh, natural-cut fries taste every bit as good as they look, and you get a lot of ‘em! They pair well with everything on their extensive menu, or as a quick snack while you enjoy an afternoon at the Harbor Shops. There’s no better combo than a burger and fries, and Sharky’s knows how to do them both in the best possible way. Made-from-scratch fries taste so good you’d think they grew the potatoes themselves then sliced them up and fried them. Add chili, cheese, or bacon for a remarkable experience. This local watering hole has a lot going for it, but their French fries are not to be missed. This dog-friendly establishment works with local farmers and suppliers to bring you the freshest taste in food. Straight cut fries and sweet potato fries are the perfect complement to their handcrafted burgers, and you won’t leave a single one behind. This modern take on the neighborhood grill and bar is serving up mouthwatering French fries that will make your life complete. Natural cut and lightly fried, their truffle parmesan fries are as unique as they are delicious A generous helping of these beauties will ensure you won’t walk away hungry. They may have the best burger in Florida, but every great burger needs an equally astounding French fry for support. Here you’ve got your pick of traditional, sweet potato, or truffle fries, each one as delectable as the next. Their immaculate presentation only heightens the moment. Find locations in Delray Beach, Fort Lauderdale, Hallandale Beach, and Miami. Key West’s favorite wing spot might be the last place you’d expect to find the best fries, but one taste and it will easily become your first choice. Battered and fried to the perfect golden hue, customers just can’t get enough of these fries. They’re every bit as good as their wings, so make sure you order plenty of both.